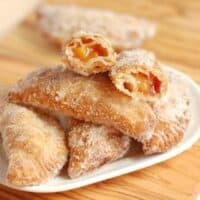 Fried Peach Hand Pies are sinfully delicious! 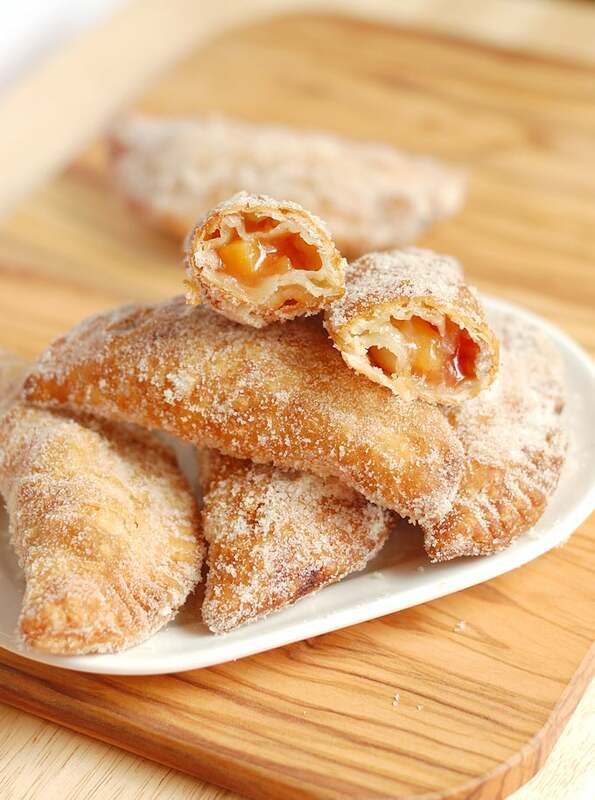 Anything made with flaky pastry filled with tequila-spiked peaches then deep fried and coated with spiced sugar has to be good. 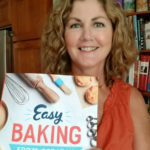 I usually try to write a little about each recipe I post, either an explanation of how the recipe was developed and perfected, or maybe a bit about the science behind the recipe. But do I really need to say anything about this recipe? I mean, seriously, why wouldn’t I make fried hand pies filled with fresh peaches, and why wouldn’t I add a little spice to the peaches, and why wouldn’t I add just a hint of tequila to the peaches? Oh, the tequila. Well that is a little bit of a story. Macerate the peaches so they don’t fall apart when cooked with the tequila. 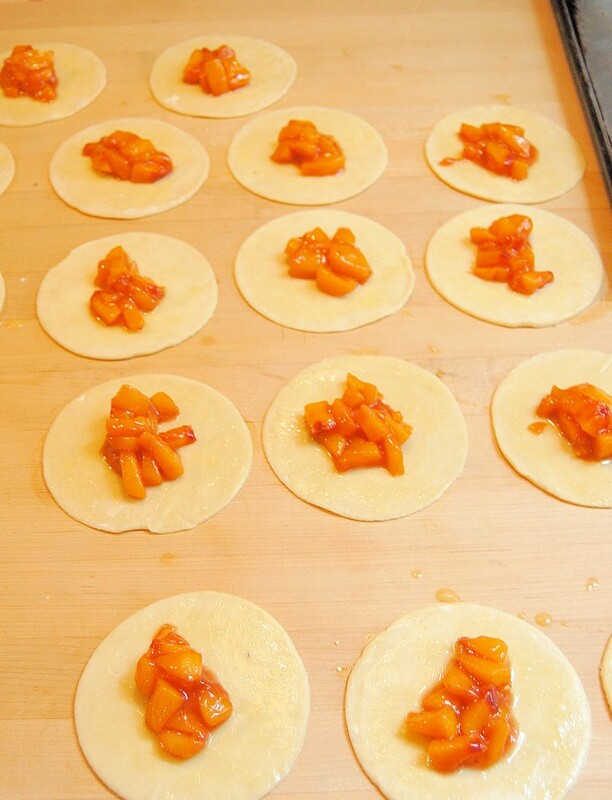 Lay out the circles of pie dough, fill with peach filling and fold. Fry the pies a few at a time then immediately roll in the spiced sugar. 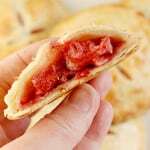 This is a fairly straightforward hand pie recipe with just a hint of spice added for a little zing. But the addition of the tequila was inspired by our recent vacation in Mexico. We (and by “we” I mean “I”) brought home a couple of bottles of aged tequila and have been spiking drinks and dishes with it ever since. The other night we made a pitcher of Mexican Sangria to enjoy with our dinner. Anyone who’s ever had sangria knows (or should know) that the best part is eating the boozy fruit at the bottom of the pitcher after the sangria is all gone. Well, when we were eating the peaches from of our Mexican Sangria the other night we realized just how great peaches and aged tequila taste together. 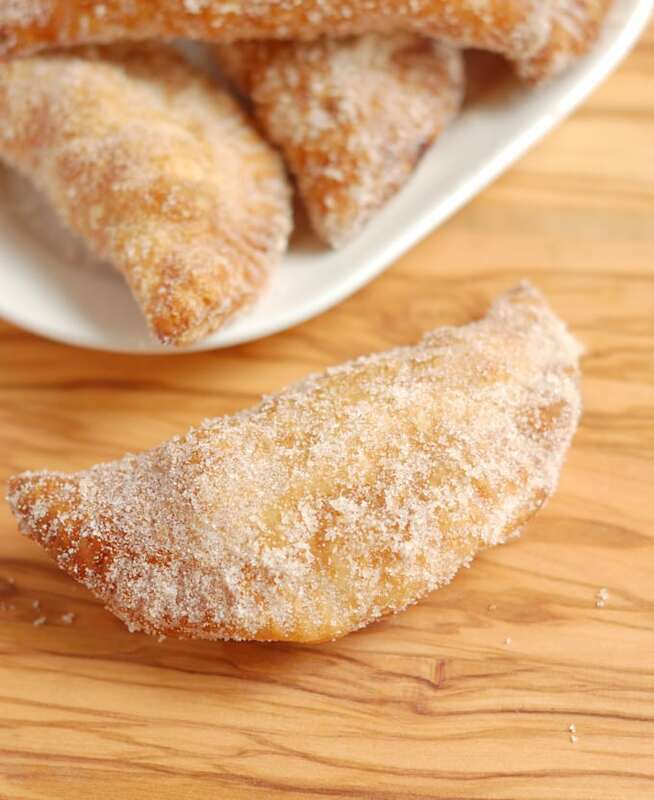 Hence, the inspiration for Fried Hand Pies with tequila-spiked peaches. You won’t get hit over the head with tequila flavor, but the tequila enhances the fruit and spice flavors (check out this post to learn why alcohol enhances certain flavors). I brought these hand pies to a Labor Day get together and they were a big hit. Of course, if you don’t like or want the alcohol in the filling you can use water instead of tequila to cook the peaches. 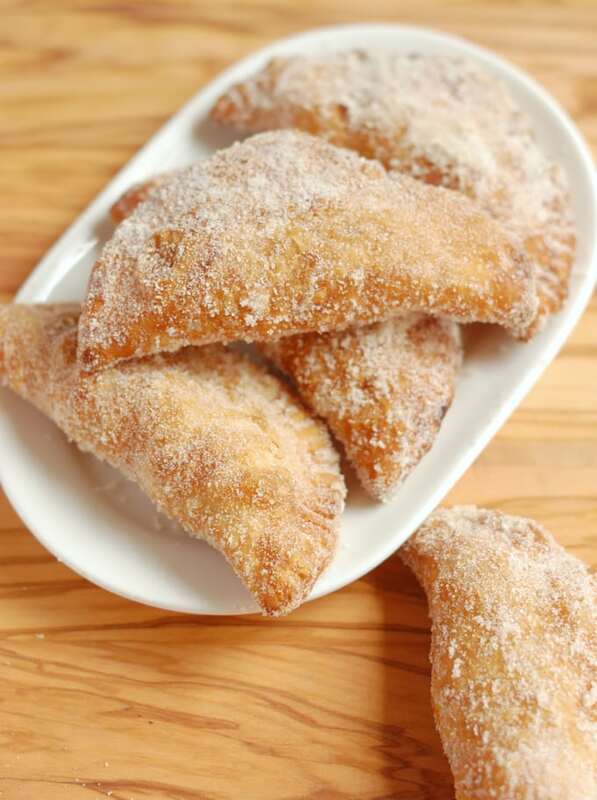 Fried dough with tequila spiked peaches - 'nuff said. 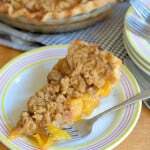 1 Recipe Perfect Pie Crust or store bought pie crust, chilled. Make the dough at least 2-3 hours ahead so it has time to rest. Line a 1/2 sheet pan with parchment paper. 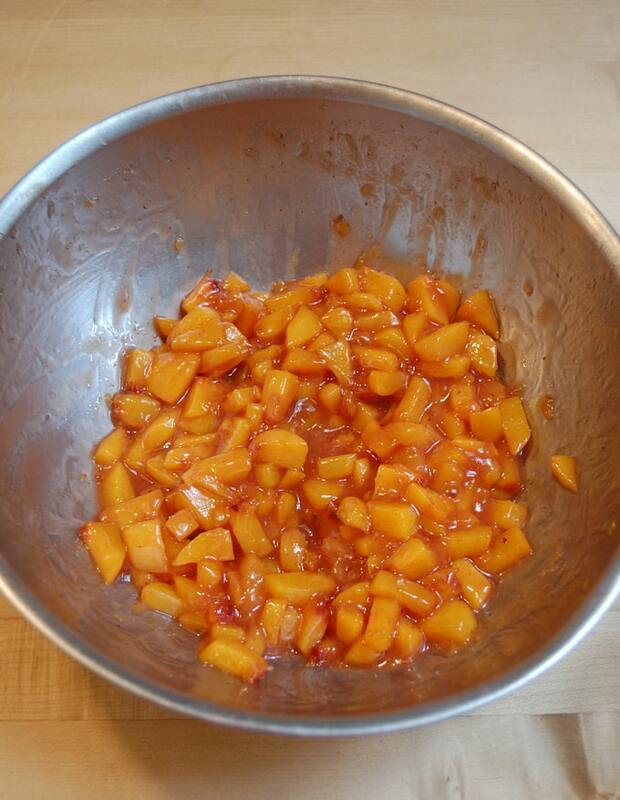 Toss the chopped peaches with the salt, sugar, spices and lemon juice and allow to macerate for 1 hour. 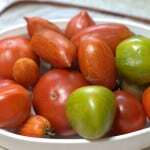 Strain the peaches and collect the juice, There should be about 3/4-1 cup of juice depending on how ripe the fruit is. Combine the corn starch with the juice and whisk until smooth. 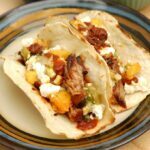 Over medium low heat, cook the drained peaches with the tequila until they soften, about 5-10 minutes. Mix the cornstarch slurry into the peaches. Stirring constantly, cook the peach mixture until it is thick and the juices are bubbling. Transfer the filling to a bowl and allow to cool completely before assembling the pies. 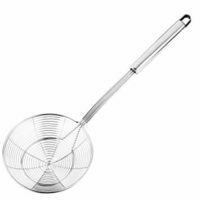 In a pie plate or other shallow dish combine 1 cup granulated sugar with spices. 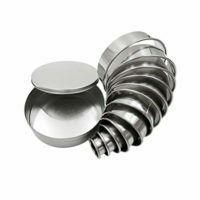 Place the dough rounds on your work surface. 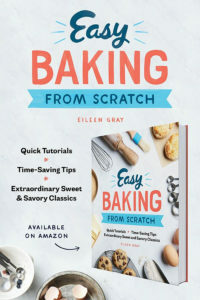 Brush around the edge of each dough round with egg wash. Place a heaping tablespoon of peach filling in the center of each round. 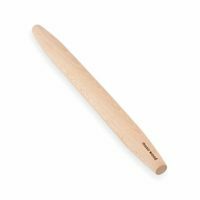 Fold the round over to form a 1/2 moon and crimp the edges with a fork to seal. Return the assembled pies to the lined baking sheet and refrigerate for at least a 1/2 hour. 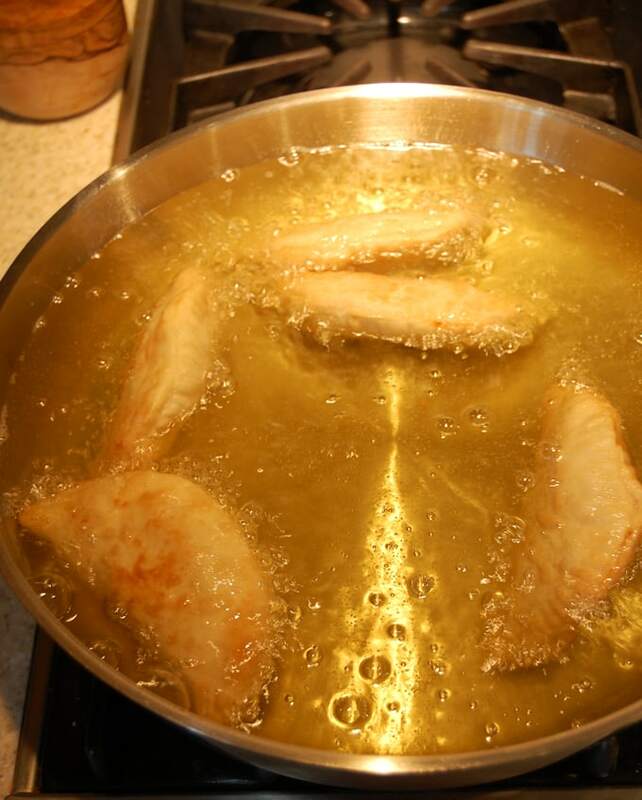 Meanwhile heat the oil (at least 2" deep) in a wide pan to 350°F. 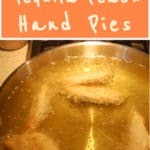 Fry the pies in batches, flipping 1/2 way through cooking to brown both sides. As you remove each pie from the oil place it in the cinnamon sugar, turning once to coat all sides. 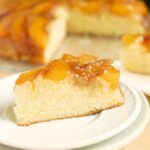 I made this recipe using fresh peaches but you could probably use frozen peaches instead. You may need to adjust the sugar for sweetened peaches. I definitely don’t think these need an explanation! They look great and I love the tequila addition. Thanks Rosie. The tequila just enhances all the other flavors. Firstly, that crust recipe is phenomenal and will be my go to from now on. Secondly, the only change to the recipe I made was using 1/3 brown sugar and 2/3 granulated sugar in the filling and added a pinch of salt. 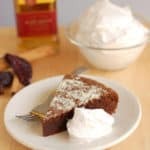 I am not a tequila fan, but what an awesome flavor it added to this recipe. Lastly, I used my air fryer instead of deep frying. 375 for 10 minutes was perfect.. Kudos for a tasty recipe! Thanks, Teresa. I haven’t tried the air fryer. Does it make a big difference. And, yes, that little bit of tequila wakes up the other flavors.